How many of your forget all the things you need to do today, tomorrow, by the end of the week.....It happens to me all the time. Did you know that Rosemary helps to enhance proscriptive memory, this is the ability to remember things happening in the future. In a research study looking at essential oils and memory they found that, 'rosemary produced a significant enhancement of performance for overall quality of memory and secondary memory factors...' Click here to read more about this article. I prefer to diffuse Rosemary in combination with other essential oils while I am working, however you can also rub a drop into your hands and breathe it in. Basil has been known to help with poor memory specifically fatigue-induced distractions. This is a great oil to use when you have had a long day but still have a presentation to give, or homework/bills to complete. Simply breathe this in or diffuse in your workspace. If you are looking for a more subtle smell you can try Cypress Essential Oil. Diffusing this can help to support concentration. 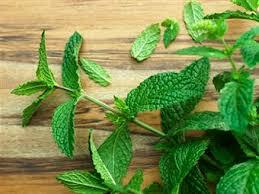 Peppermint acts as my all natural pick me up :) It can help me to feel energized and support focus. I notice a quickness to my memory when I use peppermint aromatically. I also love that using it topically can cool me down and help ease neck tension from working.